Investigators have reported that the pilots of the Ethiopian Airlines flight that crashed on March 10 “repeatedly” followed the procedures recommended by Boeing and were not responsible for the crash. Boeing temporarily grounded its entire fleet of 737 Max 8 aircraft following the crash, which was the second in just five months to involve the model, following the Lion Air crash in Indonesia last October. An automated anti-stall system on the plane has been identified as a possible cause of both incidents, as the planes showed similar flight patterns on both occasions before crashing. With this latest confirmation, Boeing is likely to come under even more scrutiny, which is sure to be a concern for its insurers, Global Aerospace and Marsh. 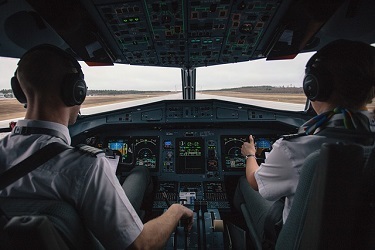 Reinsurers Munich Re, Swiss Re, Hannover Re and GIC Re have also said that they will face exposure if Boeing is found liable, with expected costs ranging between €10 million for Hannover Re and up to €120 million for Munich Re. Broker Willis Re warned that the crash and resulting suspension of the 737 fleet could become the largest ever non-war claim incurred by the aviation reinsurance market, and could total $1 billion. Boeing was also hit with its first lawsuit from the Ethiopian Airlines crash recently, after family of Rwandan passenger Jackson Musoni alleged that the company had defectively designed the flight control system. The U.S aircraft manufacturer faced dozens of lawsuits following the Lion Air crash. “Despite their hard work and full compliance with the emergency procedures, it was very unfortunate that they could not recover the plane from the persistence of nosediving,” the airline stated. The preliminary report from Ethiopian authorities did not attribute blame for the crash and said that a full investigation to determine what other factors could have been involved may take up to a year. However, it did suggest that aviation authorities should confirm any potential issues with Boeing’s 737 model are resolved before allowing it to fly again. For its part, Boeing has said that it has now reprogrammed the aircraft’s software to prevent it from triggering falsely, and to trigger only once after sensing a problem to give pilots more control.